Holds USAPL Iowa State Raw records in bench press, deadlift, push/pull and raw total in the 57kg division. Has the highest Wilks score in bench, deadlift, push/pull and raw total out of all women's open weight classes in the state of Iowa in the USAPL. 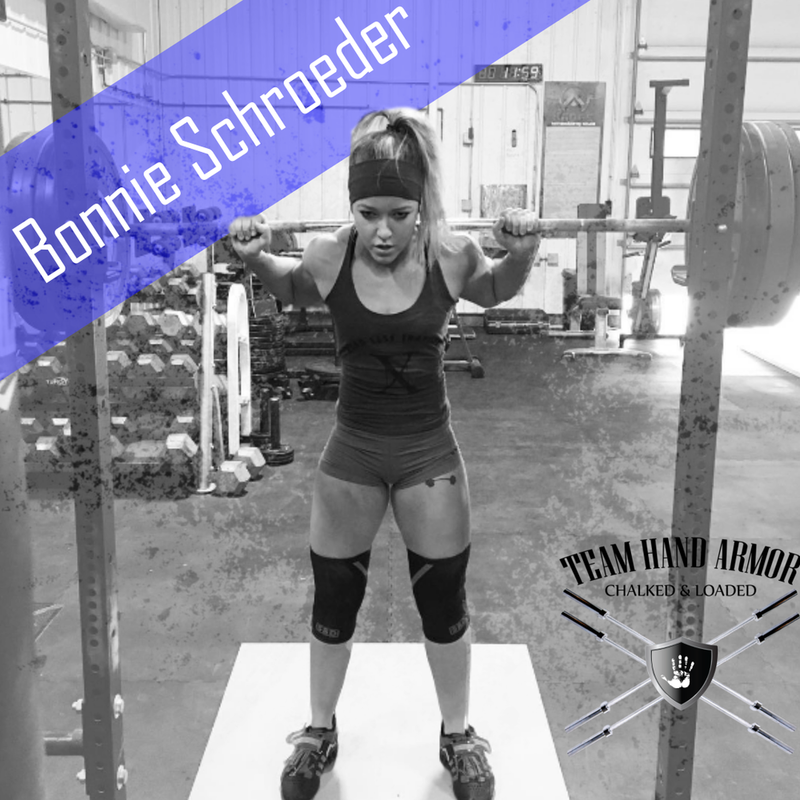 She trains and coaches out of Summit Training Center in Bettendorf Iowa where she is passionate about working with competitive powerlifters as well as those interested in strength and conditioning. Bonnie says this is why Hand Armor Liquid Chalk is her favorite: My favorite product is the liquid chalk because it's so portable, no mess, and great for traveling! !